So, sometimes when I want to really scare my kids, I let them know that I was in 25th grade when I received my PhD. (Yes, I took a while for my doctorate….) But despite the fact that I’ve taken more math classes than most of humanity, there are some pretty basic proofs that I’d never seen before. 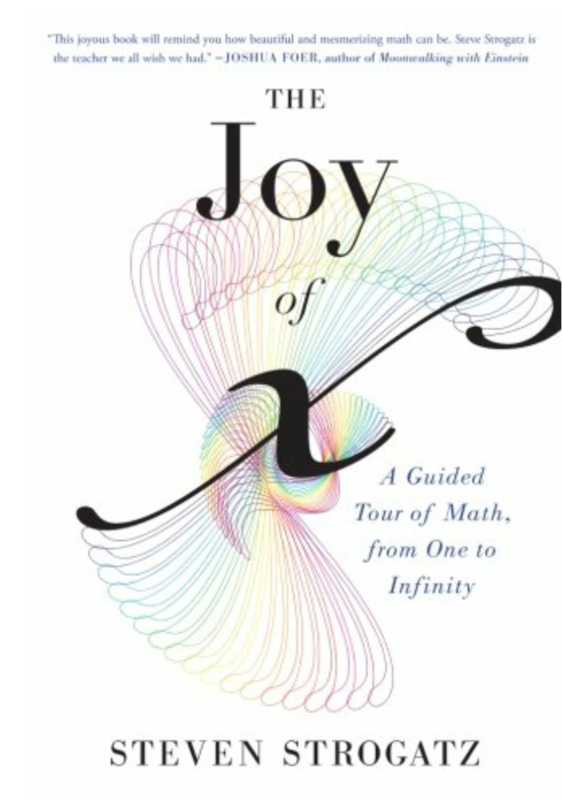 And now I have, thanks to the book “The Joy of x: A Guided Tour of Math, from One to Infinity” by Steven Strogratz. 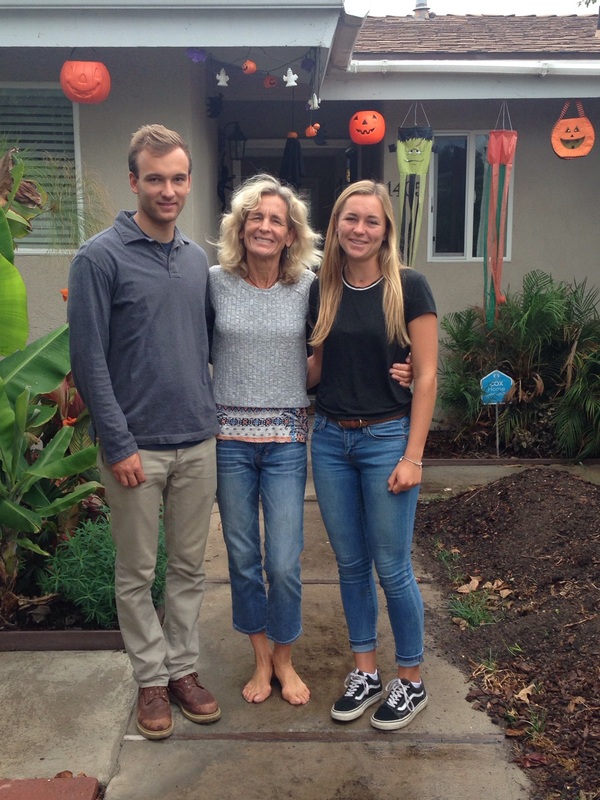 Steven is the Jacob Gould Schurman Professor of Applied Mathematics at Cornell University in Ithica, New York. Besides being an uber-nerd (what professor with a named chair isn’t) he’s also gifted with the ability to use language very, very well. So well, in fact, that he was writing a popular column on the wonders of mathematics for the New York Times. 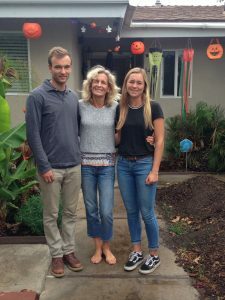 Lee and her kids James and Ellie. Lee is one of my Favorite People. Thank you for the book. My friend Lee Scheuermann sent me this book and I thank her deeply for the gift. Not only did I get to read a wonderful book thanks to her generosity, but I read a chapter a night to my kids, Alison (11) and Jenny (9), if they’d earned the privilege. (Earning the privilege means getting in bed by 9:30.) And even though this book goes into things like differential equations and the like, you’d be surprised how disappointed my girls would be if I said “not tonight, girls. You didn’t get ready for bed in time.” In fact, they loved the chapter reading so much that I could use it to get them to put down their screens and scurry off to brush their teeth. If you have young kids and tablet computers, you know just how shocking that this is. They love the book, almost as much as I love reading it to them. Now, to be fair, some, maybe even a lot, of the concepts go over the head of my 4th grader Jenny. Alison gets more of them for sure, but not all. (Right now Alison is stuck on whether or not infinity is defined, and just what is the deal with the complex number plain?) But none the less, there are some neat things in this book that are approachable to many, and I’m going to share some of them in this post. Now many already know this trick. It seems impossible to do until you learn it, then it’s so obvious that you wonder why you ever didn’t know. 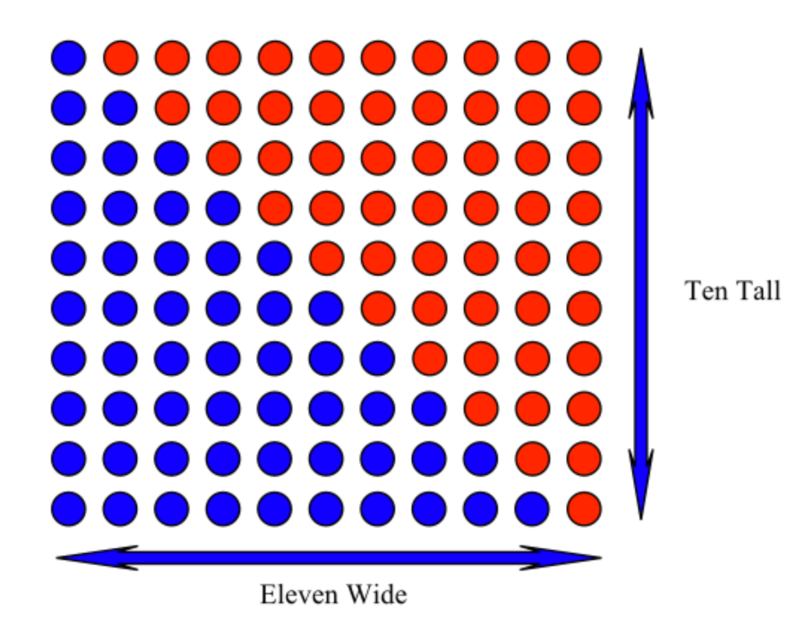 Each triangle of dots represents the numbers from 1 to 10. 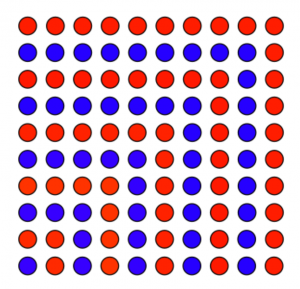 There are two triangles so the total number of dots is twice what’s needed. 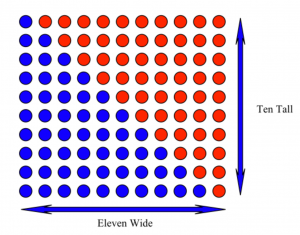 This example of a geometric proof replaces what could be tons of math with a single picture. This is the essence of elegance. 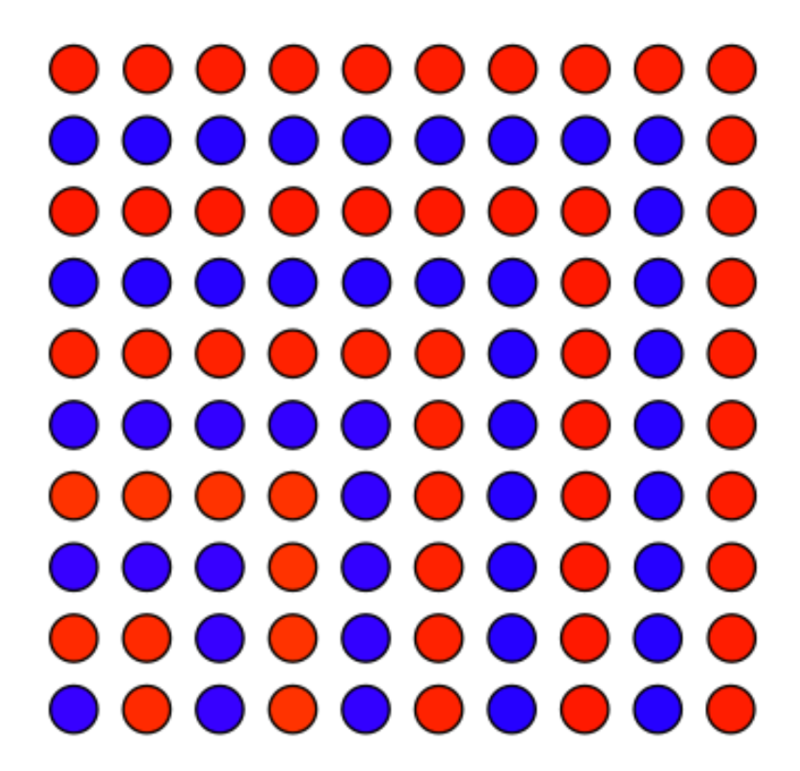 The single blue dot in the lower left is 1, the next group of red dots is 3, the next row of blue dots contains 5 and on and on. Once seen, it’s obvious. But even though I’ve had lots of math, I had no clue about this one. There are two ways to prove this. One involves similar triangles and lots of algebra. 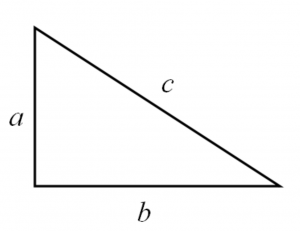 (Similar triangles are triangles with the same angles, but different length sides.) The other involves a bit more of a complicated geometric proof. Not complicated to understand, but it’s just not a single picture. Here we go! Let’s construct the following graphic. 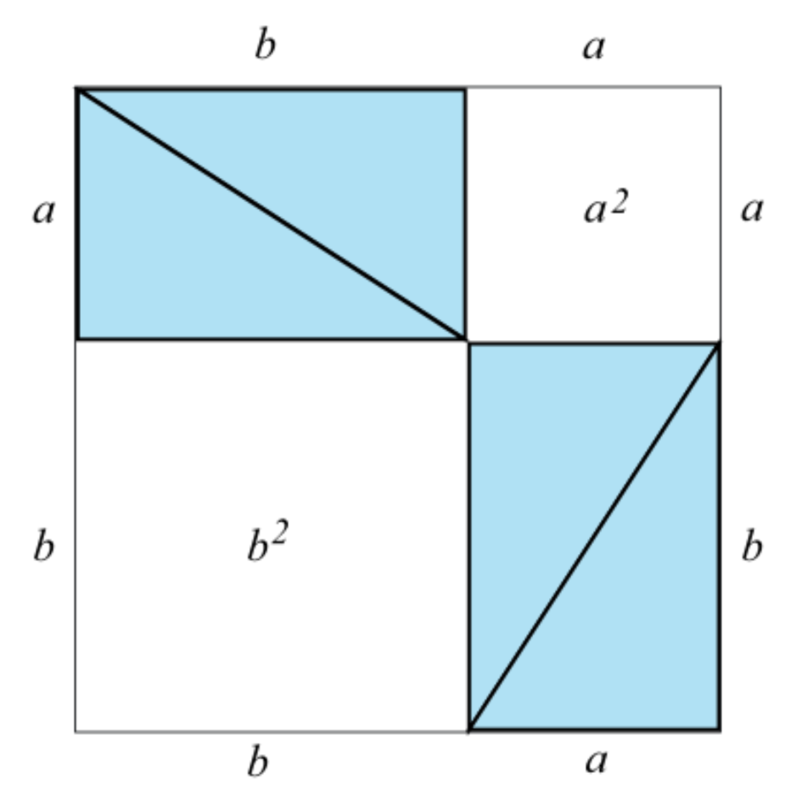 It’s made of a square of side c with four of our original triangles distributed around it. I’ve only labelled the outer sides, and it’s pretty obvious that the square in the middle has an area of c2. Now we’re going to move a bunch of the triangles around. Let the dance unfold! Here, Prof. Strogatz quotes a truly great mind. That of Richard Feynman, a very notable physicist with quite an interesting personal history. When Dr. Feynman was at Los Alamos during the Manhattan Project, he came across a problem that needed to know the square of 48. Hans Bethe said “That’s 2,300. If you want to know exactly, it’s 2,304.” So how did Bethe know? 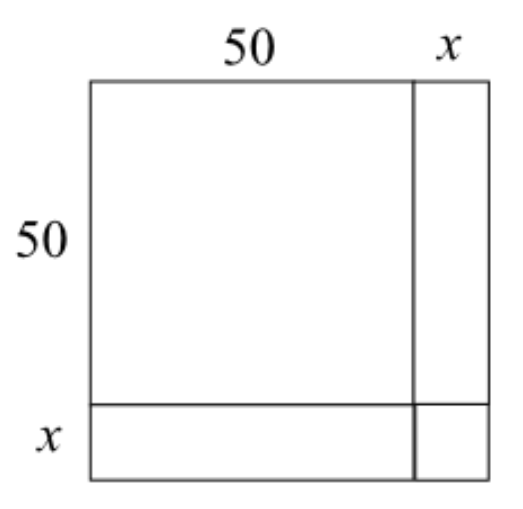 The large square in the upper left is 2,500 square units. 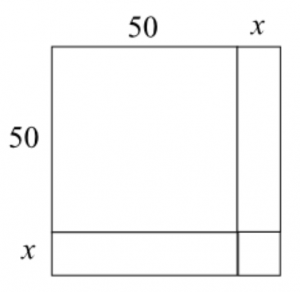 The two long rectangles are each 50x square units, and the small square at the bottom is x2 square units. The night that Alison and I went over this chapter, I made the point that one can use this to find the square of any large number. The very next day at school, she used this trick to impress her classmates and teacher. Now, I proved this (as did pretty much every introductory calculus student) by forming an integral that swept the area of a small triangle around a full circle, adding the area of an infinite number of infinitesimal equilateral triangles with long length r and short length rdθ over 360 degrees. And yes, it’s a pretty basic integral, but for those that aren’t familiar with calculus, I think their eyes must have already glossed over. 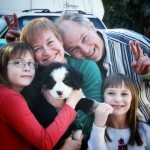 I hope they just skipped to the pictures, and didn’t just click over to Facebook! 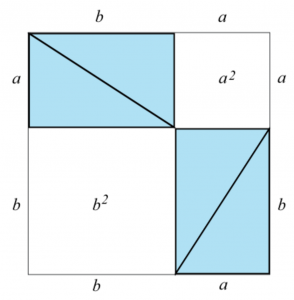 This geometric proof is very approachable, and in fact techniques like this were used to get arbitrarily accurate numbers before the invention of calculus. And while it’s easy to follow this proof, it contains the seeds of some pretty useful concepts: Most notable is that of limits…. Here we go! Here we show a circle cut into quadrants. 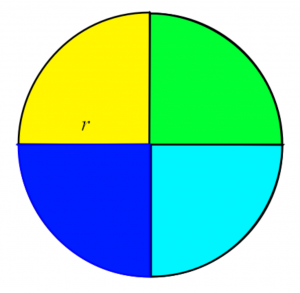 Since the circumference of a circle is 2πr, the length of each quadrant arc is ½ πr. Each progression to thinner and thinner slices reduces the “bumpiness” of the scalloped edge, yet the length is always πr. The straight edge stays r, just getting more and more vertical. 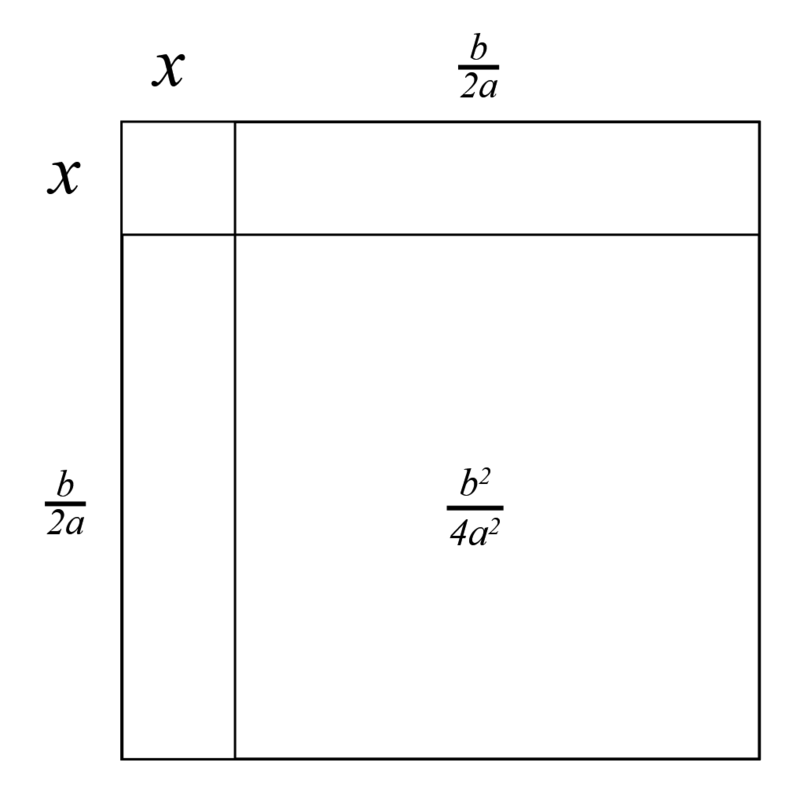 In the limit that we slice the circle into an infinite number of pizza slices, we simply end up with the rectangle with length πr and height r…. 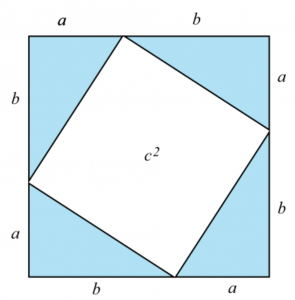 And area πr²! So, the book is a joy for a nerd like me and for curious kids like Alison and Jenny. Not all the chapters are home runs (I was particular disappointed in slicing and dicing about the basis of integrals) but most are very good to excellent. While some of the concepts will be lost on those that are really mathophobes, pretty much every chapter will leave even the non-mathematically inclined with a better understanding of the chapter’s subject. And some may impress or even inspire. Get a copy, read it. As one progresses in math, one gets told that finding the roots of quadratic equations is really, really important (rarely are students told why, it’s really just presented as some sort of gospel.) After fighting, uh, learning how with easy examples, the binomial theorem mantra is presented and dutifully memorized. When I first encountered it in 6th grade, my teacher didn’t know where it came from and couldn’t show us how to prove it, so we just accepted it as a truth from above. This was a shame, really, as for many, this just reinforced the idea that math was hard, something beyond the reach of mere mortals. 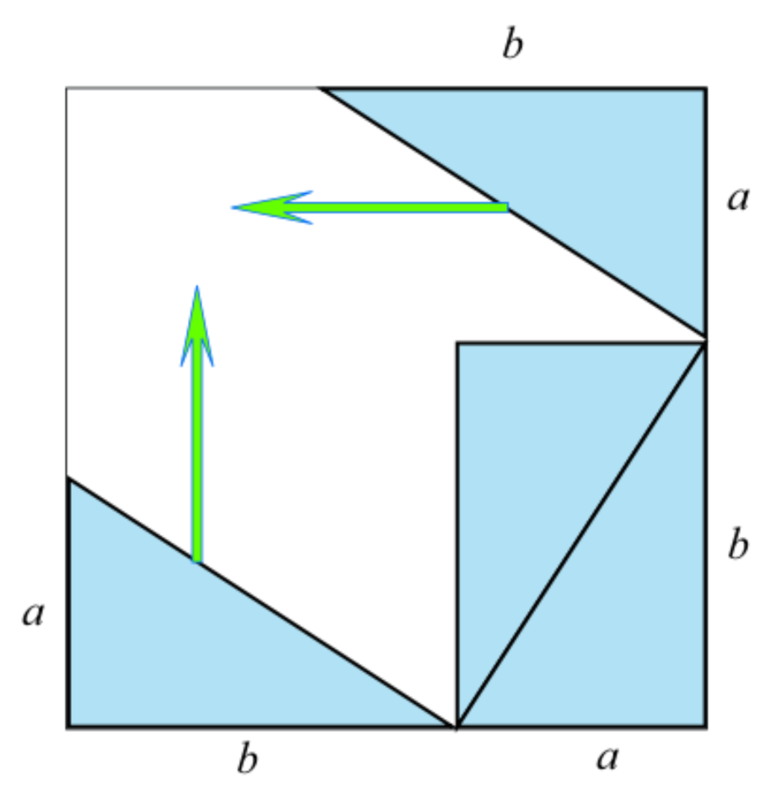 But it’s not that hard, and I think if Mr Brown had seen this proof, he could have shown those that were interested where the theorem came from and why it was true all while introduction the idea of geometric reasoning. This involves both algebra and geometry, and I know that there are some who won’t want to deal with the equations so I’m presenting it here. Let’s begin! But where does this come from? 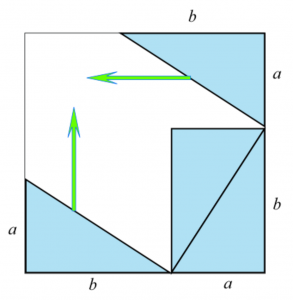 Once again, geometric proof comes to the rescue! 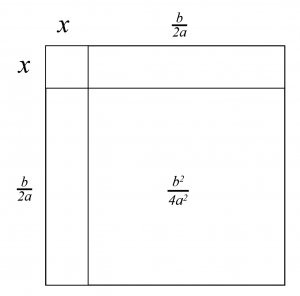 This time, we do something called “completing the square”. But before we do that, I’m going to manipulate the equation a bit…. 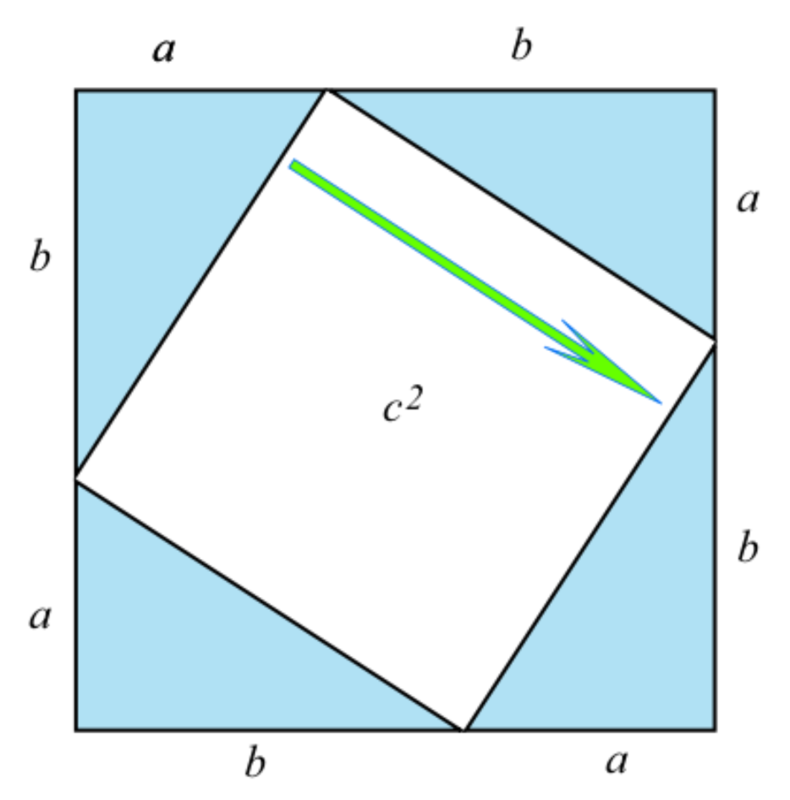 By adding b²/4a² to both sides of the equation, it becomes obvious that the left is just the square of (x+b/2a) and the right is just what it is. There you have it! For the longest time, this had just been a mathematical chant, dogma passed from teacher to student, mostly just left as an act of faith.